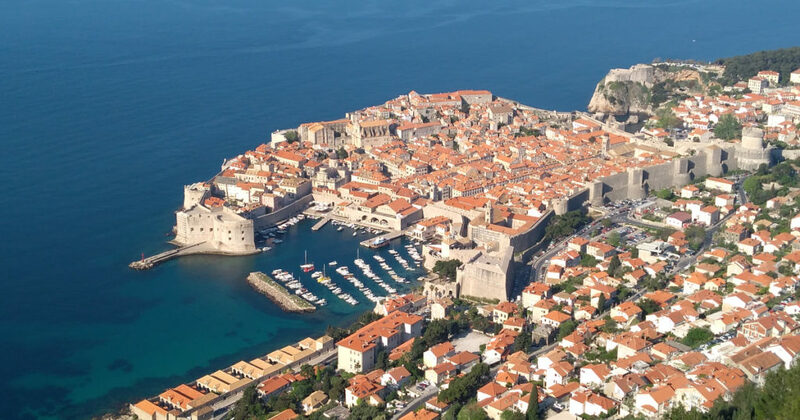 When you want to visit Dubrovnik and tour the area like you are living in the world of the Game of Thrones, let Tour the Game of Thrones show you how it’s done. With customizable tours, you are sure to fill your needs with this one touring company. Below is a sample of some of the tours we offer but remember, standard tours can be customized so that you can see anything you like to get more out of your visit. If you require special needs such as people with limitations or you are bringing a pet, we can customize your tour anyway you like. We are a touring company that offers private tours only so we are able to adapt them to your specifications. Fort Lovrijenac (AKA Fort of St Lawrence) is an important part of the tour as it poses as the setting for Red Keep in the Game of Thrones. The Fort was completed in 1639 and is still remarkably well kept in the present day. Apart from being one of the main sets for the Game of Thrones, it is used as an open-air theater during the Dubrovnik Summer Festival. Aside from checking out the GOT sites, you’ll also have a chance to learn about the strategic importance of this fortification for Dubrovnik and hear some intriguing legends about the city and the surrounding area. The exterior of the Ethnographic Museum (AKA Rupe) is used as the point where a great deal of action in King’s Landing takes place; the infamous Littlefinger’s Brothel. The streets around the museum are actually used as the setting for slums of fictional capital of Westeros, the Flea Bottom. The interior of the Rupe museum (which was used as the main granary for the Old Town of Dubrovnik during the medieval times) is not featured in the show, but the streets around it are. The main entrance to the Old Town of Dubrovnik is featured in the several iconic scenes of the Game of Thrones from Season 2 to Season 8. The staircase that leads to the Jesuit church of St Ingatius is probably the best known iconic point on this tour which the Game of Thrones fans will be able to recognize in an instant. However, aside from the most obvious scene, the staircase is also used in several others that our guide will share with you. The site where the Iron Throne is located in the Old Town of Dubrovnik. This place is usually reserved for the end of the tour, but since we often take detours in order to avoid the crowds so the visit to this point might be arranged in the middle of the tour. Our tours are private so we always play it by ear. The Ploce Gate and the adjacent Arms Square is another filming point that we often use to end our tours. One of the major scenes from the show played out at this point and it overlooks several other locations that were featured in the earlier seasons of the Game of Thrones. See what customizable tour we can create for you. Tour the Game of Thrones with us!